Using a small spoon (I used a teaspoon,) hollow out the centre of the zucchini halves, leaving 1/4-inch thick shell on each half. Chop the scooped out zucchini flesh and save 1/2 cup to add to the taco filling (squeeze excess water with a paper towel,) discarding the rest. Brown turkey in a large skillet, breaking up as it cooks. When no longer pink, add the chili powder, garlic powder, cumin, paprika, oregano, and salt and mix well. Add the reserved zucchini, tomato sauce, salsa, and water. Stir and simmer on low for 15 minutes. 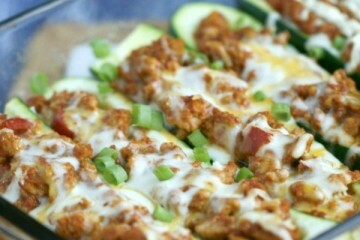 Using a spoon, fill the hollowed zucchini boats dividing the taco meat evenly, pressing firmly. Top each with 1 Tbsp of shredded cheese. 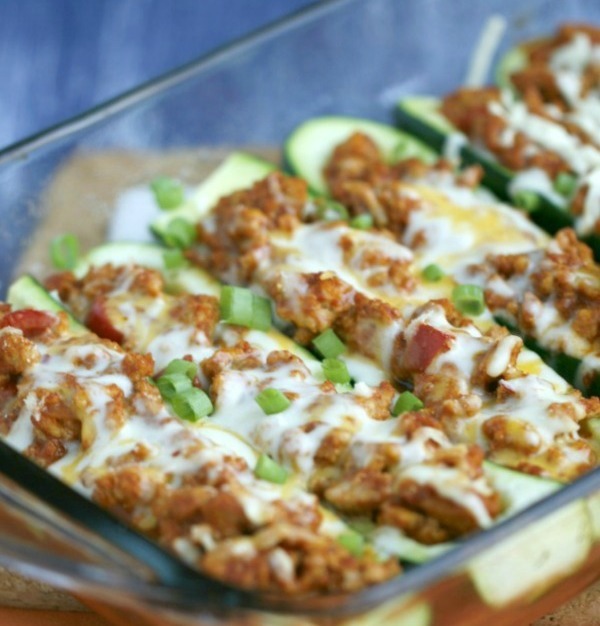 Cover with foil and bake for 35 minutes, until cheese is melted and zucchini is cooked through. 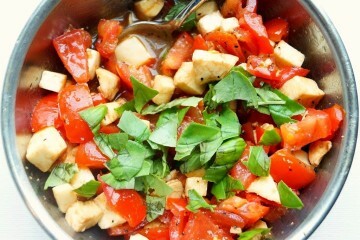 Top with cilantro or green onions if desired. 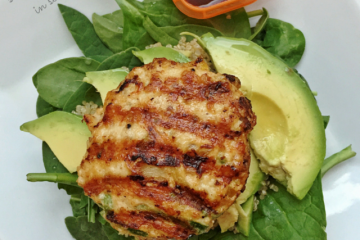 Popular Posts	: 21 Day Fix!